Sixers Entering the Gauntlet, Eagles Fans will Hate this Super Bowl. The Sixers picked up the pieces from their “collapse” against the Nets to lay a couple beat downs on some NBA doormats over the past two day. The Charlotte Bobcats joined the list of double-digit Sixer blowouts, and the Detroit Pistons got a second helping of “blowout-itis”. Friday night, the Sixers took on the Bobcats at the Wells Fargo Center and took control early. The Sixer defense held the Bobcats to 10 points in the first quarter, and kept them in check en route to a 72 point defensive masterpieve against a struggling team. The Defensive play continued as they shut down another anemic offense and held the Pistons to 31 points in the first half en route to allowing 74 all game. The past two games looked completely different for the Sixers on the defensive end. They attacked loose balls, and created easy offense from stellar defense. They did not allow a single player to beat them like they allowed Deron Williams to pick apart their defense on Wednesday night. Sixer bigs Nikolai Vucevic and Spencer Hawes both missed the weekend games as they continue to mend their injuries. Hawes is further along and may be a game time decision for tonight’s game against Orlando. Vucevic is still a little ways off as he battles a quad contusion he suffered in the Miami game last week. In the meantime, Sixer rookie Lavoy Allen has stepped up and played meaningful minutes in their absence. During this stretch, the 6-9 Forward is averaging 7.75 PPG and 4.75 RPG. He’s also making plays that don’t show up on the stat sheet with solid defense and hustle plays that has coach Collins confident in increasing his role. Look for Allen to remain a part of the normal rotation once Vucevic and Hawes return to action. Andre Iguodala also racked up his first triple double of the season recording ten points, rebounds, and assists against the Pistons on Saturday night… It was also his 28th birthday… Iguodala also wowed the home crowd with an off the backboard self assist for a slam dunk in the first quarter… The Sixers will play their next 7 games against teams over .500… Philadelphia is 3-1 during their current 7 game homestand. The Sixers will have their hands full this week with some stiff competition from top teams in the East and West. The Sixers get the opportunity to prove to the NBA that they will be a factor in the playoffs with some solid play and victories over their next seven games. These games include tussles with the Magic, a rematch with the Heat, a visit from Eastern Conference leader Chicago, a roadie against the Hawks, and a trio of Western Conference powerhouses including the Clippers, Lakers, and Spurs. 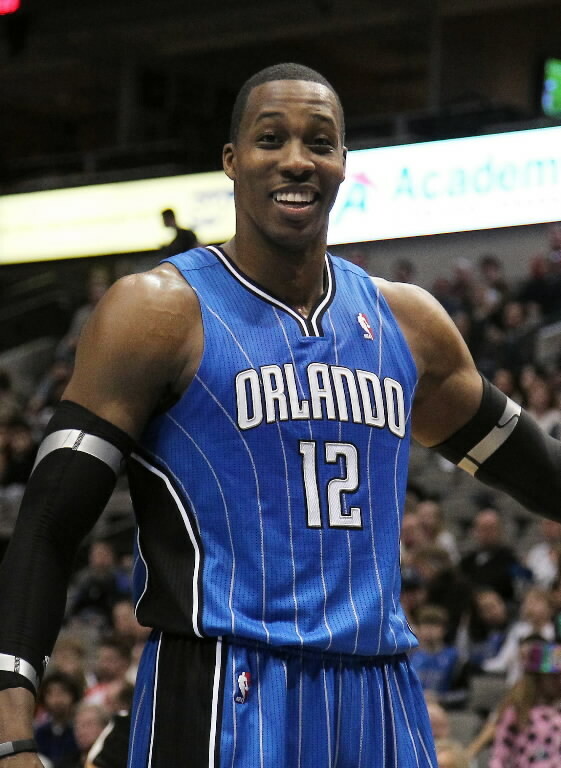 The 76ers (14-6) will take on Dwight Howard and the Orlando Magic (12-8) Monday, Jan 30 at the Wells Fargo Center. This week will either silence or add fuel to the doubters of the Sixers. There’s been no surprise that Philadelphia has played the easiest schedule by far in the NBA. The Sixers have played the schedule about as good as it can get with blowout victory on top of blowout victory, along with some nail-biter losses against good teams. The first test comes against the struggling Orlando Magic tonight at WFC at 7PM EST. Giants/Pats in the Super Bowl. I can’t get too excited about it. The Super Bowl Rematch of the Century will come to TV sets everywhere as the susprising New York Giants will take on the New England Patriots this Sunday in Indianapolis. There will be tons of coverage about this game for obvious reasons, and eerily reflects the Super Bowl run of the Giants in 2007. Personally, I am not too excited about this game because I’m annoyed that the Giants made it this far. As an Eagles fan it pains me to see teams like the Giants come together and win games they need to win to succeed. Andy Reid has had the Eagles in countless positions to win big games and championships, but of course, they have always come up short. This Super Bowl is especially tough for Eagles fans as they finished a game off the pace for the NFC East and essentially missed it due to a complete collapse against the 49ers in week 3. Andy Reid and the Eagles are still mum on the Defensive Coordinator position, but I’m assuming Castillo will return for his second season. I had this pegged midway through the season even while the Eagles were struggling defensively. I’ve seen enough of this management group to know their arrogance regarding their decisions. Of course the “wait until next year” card was essentially played after a 4-8 start and picked up even more steam after finishing 8-8. The defense picked their game up (although against very subpar quaterbacks) and finished the season on a high note. Anyway, I predict the Patriots to exact revenge on the Giants. It will probably end up being a low scoring game like their matchup in November. Pats 20, Giants 14.